Congratulations! You're expecting! Your mother and sister are planning your shower, you are attending all of your doctor's appointments, you're eating right and you're exercising regularly. What else is there? Every parent should start thinking about what their caregiver situation is going to look like long before baby arrives. Parents should have a good idea of what type of care they will have for their child by the second trimester of pregnancy. There are several reasons why it’s best to start that process early. First, if you are going to have a nanny newborn care specialist (formerly known as a baby nurse), you will have to arrange to book them as soon as possible since they set their schedules well in advance and can be in high demand for their services. Second, there is a lot that goes on around the birth of the baby and having childcare worked out ahead of time can be so helpful. Third, if you take the time during your pregnancy to plan for childcare, you will be able to take the time to think about exactly what you want without distraction and discuss it with your partner long before any decision has to be made. Unfortunately, I see far too many parents avoid this process until the last minute, make quick decisions that are not informed by a thoughtful process and then regret it. If you make a hasty decision, you may have to go through the whole process again within a few months if it is not the right fit. These days, many people don't live near their families of origin and mom and sister are no longer down the block to help when baby arrives. Start discussing what your childcare situation will look like with your partner as early as possible. Will you stay home? Will your baby go to a daycare? Will you go back to work and hire a nanny? Or stay home and get some help? These are all options to consider. Take the time to think about what is going to work best for you. A nanny newborn care specialist can not only help care for baby, they can also help to educate you and make sure you are on the right track in regards to caring for your baby. It's important that you find your nanny newborn care specialist early, as they book up fast! Don't worry about looking for your long-term nanny until after the baby is born. However, you should start to think about what hours and days you will need someone and start to think about what qualities you want in a nanny. 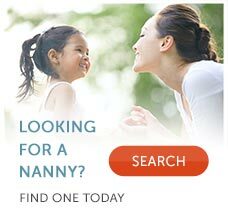 Check out the articles on going back to work and finding the right nanny for your family for more information.